An Bord Pleanála last week upheld a ruling that an apartment owner in Temple Bar needs to apply for planning permission if they want to continue using their apartment for short term holiday lettings. The Board found that the lettings constituted a material change of use under planning laws having regard to its character and material impacts on the proper planning and sustainable development of the area. The Board noted the constant stream of servicing staff and renters coming and going from the property, security concerns and general disturbance to other residents as well as the fully commercial nature of the letting as reasons for the need for planning permission. The appeal was brought on foot of a section 5 application to Dublin City Council to confirm the use of the apartment was exempt from planning permission. Section 5 applications are site specific so this decision does not necessarily set a precedent for the treatment of all properties being used for short term lets. The Board’s decision does open the way for similar types of complaints to be lodged to planning authorities however. At present planning permission will be required where more than four bedrooms in a house are used for the accommodation of not more than four persons as overnight guest accommodation. In addition to possible planning pitfalls, there are other issues to consider when you rent your property out as a short term let. These include insurance cover, property services legislation and legal requirements under the Fire Safety Acts and Building Control Acts. to ensure as far as is reasonably practicable the safety of persons on the premises in the event of an outbreak of fire. Guest accommodation is defined as any premises (excluding hotels and hostels) used for the provision of overnight sleeping accommodation excluding a single private dwelling. This definition includes guesthouses, B& Bs and similar establishments. Clearly residential dwellings offering short term holiday lets are providing overnight accommodation. 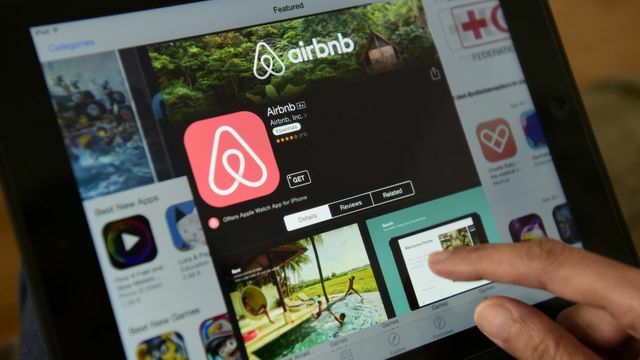 Websites like Airbnb recommend hosts to be aware of the requirements of the Fire Safety Act as part of its responsible hosting guidelines. Such premises are required to have Fire Safety Certificates in order to meet the requirements of the Building Control Acts. Persons providing long term lettings (in excess of 8 weeks) may need to consult the Property Services Regulation Act 2011 to ensure they are not providing property services. A licence is required for the provision of such services. Following last week’s decision, the Department of Housing is currently preparing guidelines for local authorities, owners and residents as to the proper treatment of such properties. Clearly some differentiation is needed between the use of residential properties as short term holiday lets is needed. An Bord Pleanála has upheld a ruling that a property owner in Temple Bar needs to apply for planning permission if they want to continue to rent it out for short-term holiday lets. The apartment on Crown Alley in the middle of Dublin's busiest tourist area was let out through Airbnb. Local residents objected to Dublin City Council, which ruled that this was a change of use which required planning permission.